Project X Ltd. » Join us at MicroStrategy Symposium Toronto – Oct. 14th! Join us at MicroStrategy Symposium Toronto – Oct. 14th! 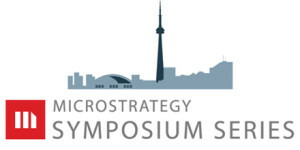 We’re excited to once again be sponsoring MicroStrategy Symposium Toronto coming up next week on Friday, October 14th. Taking place at the Sheraton Centre, MicroStrategy Symposium is your one-stop shop to network with Canadian BI professionals and learn about the latest developments in big data analytics, data visualization, dashboard design, mobile app development and more. Businesses are racing to get value from their data, and they want it now. To that end, many organizations are looking to align their organizations to be more “agile” in their delivery models. In this informative panel, some of Canada’s sharpest minds in the BI sector will discuss how savvy companies are moving away from the waterfall deliver methodology and moving towards a more rapid approach to delivering value. 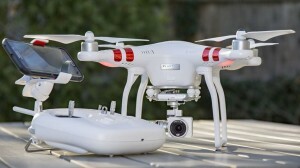 Visit our booth and enter to win a DJI Phantom 3 Quadcopter! This easy-to-fly drone takes stunning 2.7K HD videos and 12 Megapixel photos, and retails for over $600 – our most exciting giveaway yet! Just look for our Project X Ltd. drone taking flight – you can’t miss us.